I was all primed today to write a post about the design of the Desire and a few of its features that I’ve been exploring over the last few days but right now, I’m freaking angry, so my readers are going to get a huge rant instead. Turning the background syncing off is supposed to save battery power. So I’ve been turning it off in low-use periods or when playing games. Last night, I sent an email off to a client, confirming our 1pm appointment. I didn’t know until today at 1:05pm while wondering why they were late to the appointment, that the email had not sent until after noon today, which just happened to be when I turned the background sync back on. The fact of the matter is that the phone had given all appearances of having sent the email when it clearly hadn’t. This has now had an impact on both my business and my family, who had rearranged things to accommodate this changed meeting time that never eventuated because my confirmation email had been sent 13 hours too late. This is a serious fault with the phone: not the fact that it apparently requires the background syncing to be on in order to send email (though this does seem excessive), but the fact that there is no way of immediately knowing that the email has not been sent. This reminds me: why in the menu is there no option to look at your sent mail? I was told today that it’s under “labels”. This is totally non-intuitive and I never would have found that myself if I hadn’t been told. 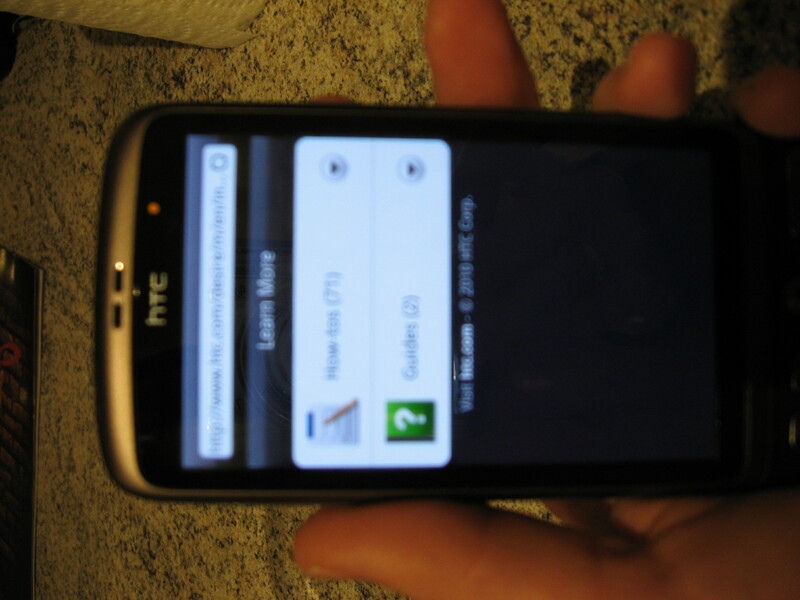 If HTC are serious about attracting business and general consumers, then these problems need to be rectified. The “Force close” message about which I previously posted is still occurring. 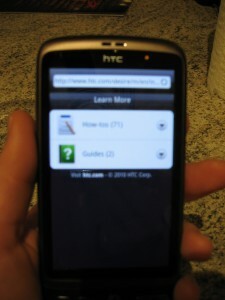 It seems to be an issue to do with the HTC Facebook app, which was pre-installed. I cleared the data from both Facebook apps, in the hope that this would solve the problem. I got the same error message about 2 minutes later. I cannot uninstall these apps. I tried. If they are causing a problem, I don’t want them on there. Editing text is almost impossible. Today, I was commented on Mark Pesce’s blog from the Desire. It auto-corrected the name and Twitter handle of one of the other reviewers. I only noticed this doing the final proof-read before submitted. I could not get the cursor to go where I wanted it to be placed. I couldn’t select the name to fix it. Eventually, I gave up and turned on the computer so I could re-type the entire comment. What a waste of time. I was told that the battery life gets better after a few charges. If it has, I haven’t noticed it. I used to be able to go for up to four or five days without charging my Nokia, depending on usage. Now of course, I’m using the Desire much more, so I expect it not to last anywhere near that. However, having to charge the Desire twice or three times a day seems really excessive. I have the background syncing turned off most of the time, so that isn’t the issue. Is this normal and if so, why? To me, this seems to be a problem. Is this a precursor to the blue screen of death?